Amazon is offering a heavy discount on the purchase of Surface Book. The company is selling the entry-level Surface Book for just $1060 for a limited time. Surface Book with Intel Core i5, 8GB RAM and 128GB internal storage is now available for just $1060 after availing the discount, you can purchase it by clicking here. The regular price of entry level Surface Book is $1,499. Surface Book is the ultimate laptop that comes with a detachable 13.5″ PixelSense Display which is optimized for Pen and touch. Surface Book is far better than the MacBook Pro 13. Surface Book is everything you need to work with professional-grade software, anywhere you want. It offer up to 12 hours of battery life for video playback keeps you going all day, every day, so you can bring your work anywhere. Microsoft claims that the 6 million pixels give you unbeatable resolution and color rivaling real life to bring your creations to life. The another cool feature is that you can flip the screen 180 degrees and reattach it to the Integrated Keyboard to present, watch movies, or design with Surface Pen. 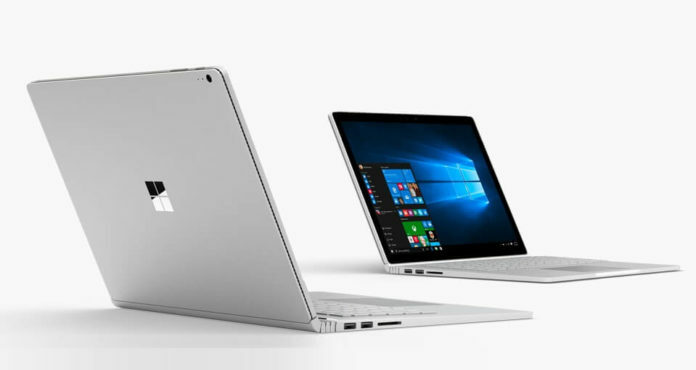 You can purchase the Surface Book by clicking here.